‘Tis the season for back-to-school shopping, holiday planning and – too often – colds, flu and stomach bugs. 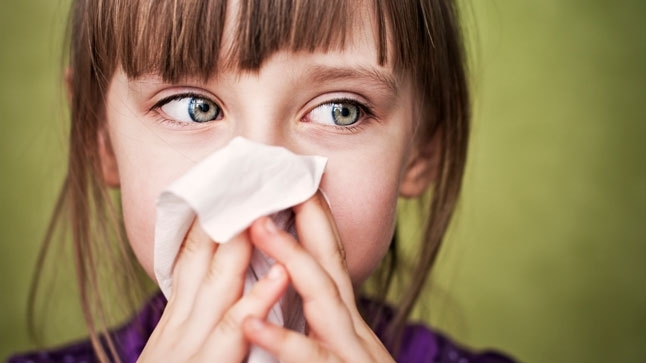 With children returning to classrooms and cooler weather driving more people indoors, germs have extra opportunities to strike. Get a flu shot. Influenza, more commonly referred to as “the flu,” is a serious disease. Typically, symptoms include fever, fatigue, coughing, congestion and sore throat. In severe cases, it can lead to dangerous complications and can even be deadly. Luckily, annual flu vaccines protect against the most common strains of the disease. The Centers for Disease Control and Prevention (CDC) recommends flu vaccines every fall for everyone 6 months and older. Wash up. Frequent hand washing with soap and water or alcohol-based hand sanitizers is one of the best ways to keep germs at bay. According to CDC figures, proper hand washing reduces cases of respiratory illness by 16 to 21 percent, and reduces cases of diarrhea by 31 percent. Scrub surfaces. Clean the surfaces you touch frequently, such as phones, faucets, doorknobs, countertops and computer keyboards. Use a ready made household cleaner, or mix 1 tablespoon of bleach into 4 cups of water to make your own (wipe down the surface with plain water 3 to 5 minutes after wiping with the bleach solution). Get enough shut-eye. Getting enough sleep is a critical part of maintaining a resilient immune system. A 2009 study found that men and women who slept less than 7 hours a night on average were almost 3 times more likely to catch a cold than those who got 8 hours or more of sleep. Exercise. Like sleep, exercise is good for your whole body, and it can even play a role in protecting you from illness. Research has shown that regular physical activity boosts the immune system, improving your ability to fight off germs. One study published in the British Journal of Sports Medicine found that adults who engaged in regular aerobic activity had fewer colds than their sedentary counterparts. And when active individuals did get sick, their symptoms were less severe. To make an appointment, visit UCLA Health online. You also can take the CDC’s Flu IQ test to find out how much you know about the flu.